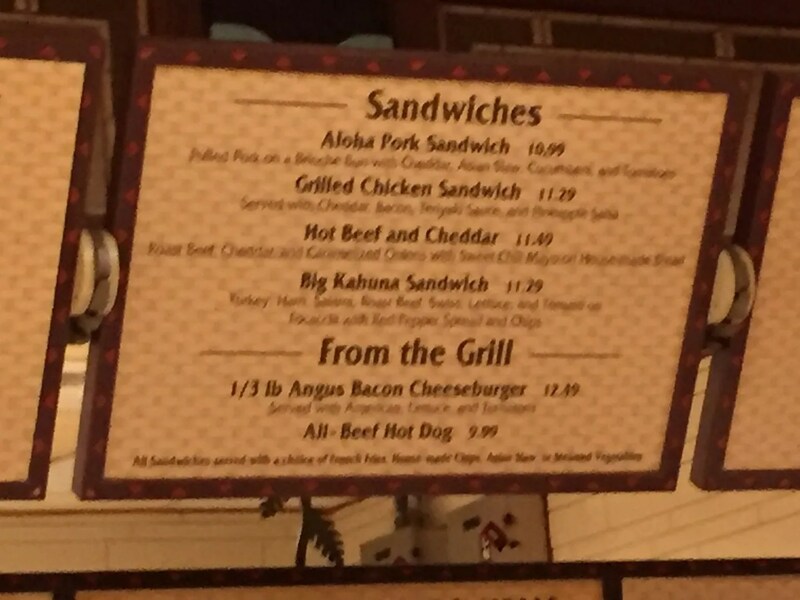 So what should I have on this second visit to Captain Cook’s during my five night stay at the Polynesian Village Resort? 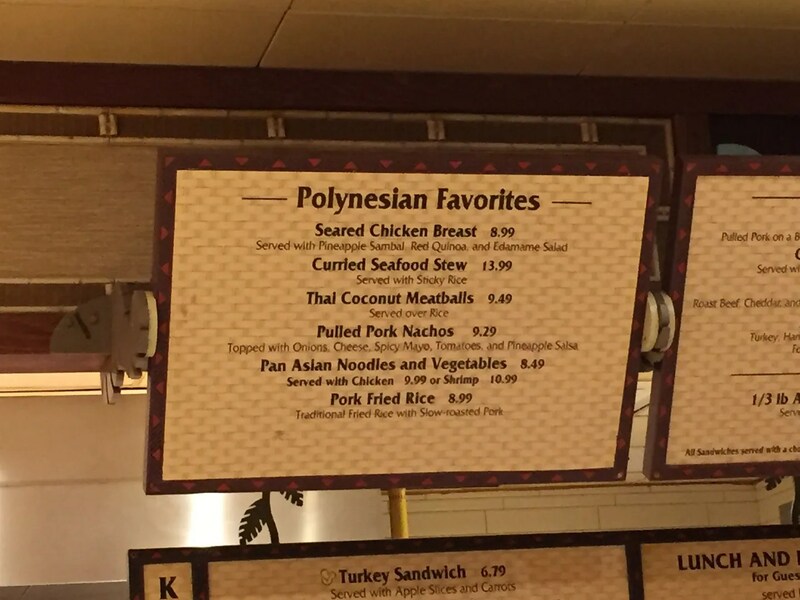 Last time here I went with a Polynesian Favorite, the Pulled Pork Nachos. 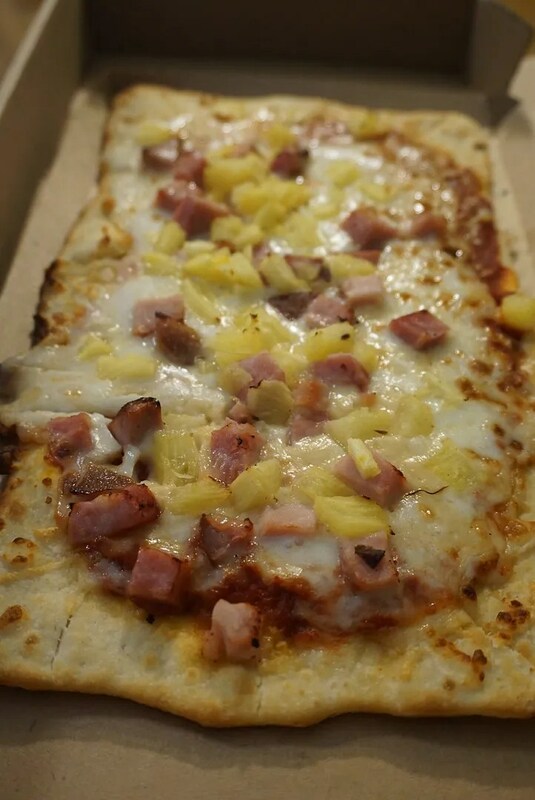 Small chunks of ham, tidbits of pineapple, along with marinara sauce and mozzarella and parmesan cheeses topped this flatbread pizza. This usually comes with diced onion but I requested it without. 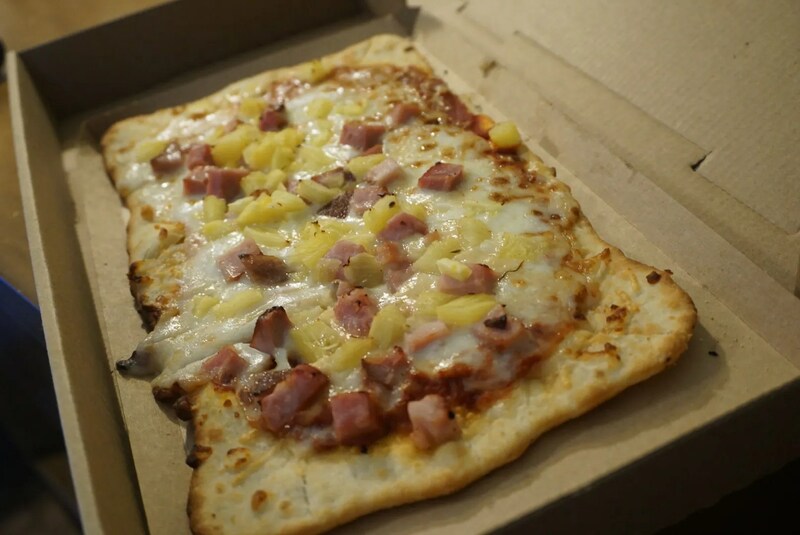 Also, I ordered this To Go so it was served on a cardboard tray placed inside a cardboard box. This was very good. 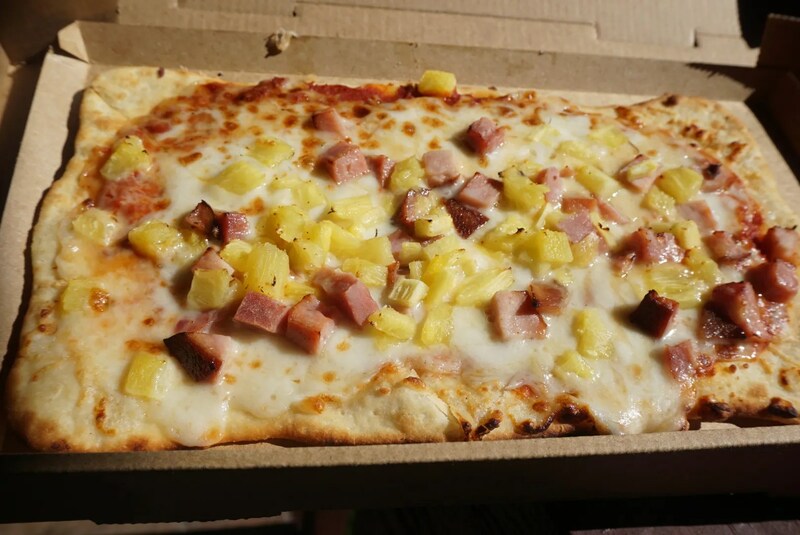 The ham was a good quality and plentiful, as was the pineapple. No complaints at all with this choice. 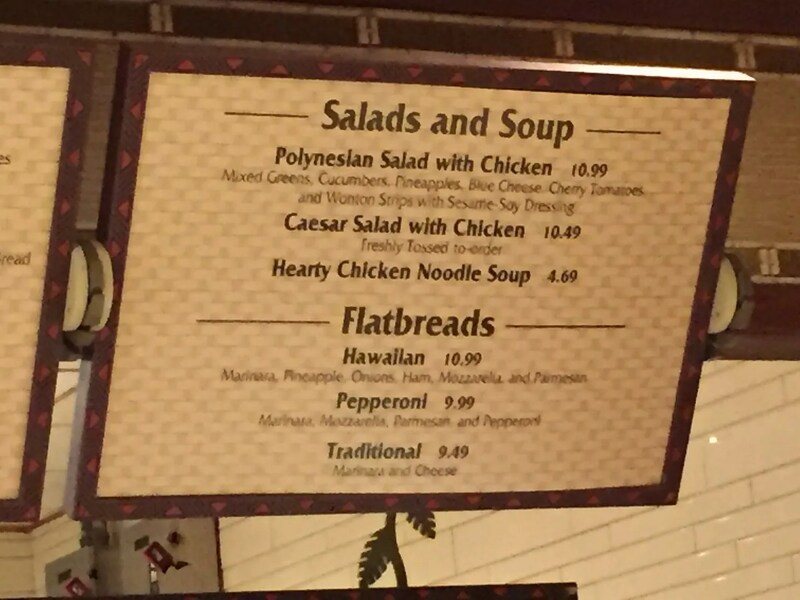 I returned to Captain Cook’s once more during my stay at the Polynesian so I’ll again hold off with the ratings and rankings.